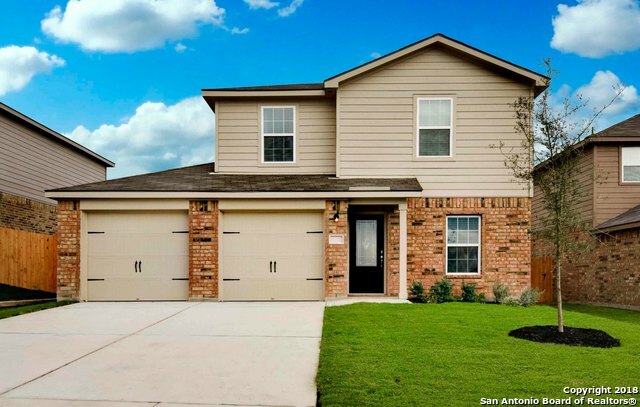 All LUCKEY RANCH homes currently listed for sale in San Antonio as of 04/24/2019 are shown below. You can change the search criteria at any time by pressing the 'Change Search' button below. "New! Move in Ready! This lovely 5 bedroom home features a large family room with lots of light and a game room. The fully equipped kitchen showcases new, energy efficient kitchen appliances (including refrigerator), Custom Kitchen Cabinets, and stunning countertops. The spacious master suite features a large walk in closet, garden tub and separate walk in shower. This home is a must see! THIS HOME HAS THE COMPLETE HOME PACKAGE. $3,000 WORTH OF UPGRADES!" "New from LGI Homes: This beautiful new 2 story home features 4 bedrooms and 2.5 bathrooms. The kitchen features beautiful wood cabinets and energy efficient appliances. New refrigerator included! Additional features include raised six panel doors, brushed nickel hardware, a large master closet and utility room. THIS HOME HAS THE COMPLETE HOME PACKAGE. $3,000 WORTH OF UPGRADES!" "New from LGI Homes: This beautiful new 1 story home features 4 bedrooms and 2 bathrooms. The kitchen features beautiful wood cabinets and energy efficient appliances. New refrigerator included! Additional features include raised six panel doors, brushed nickel hardware, a large master closet and utility room. THIS HOME HAS THE COMPLETE HOME PLUS PACKAGE. $3,000 worth of upgrades." "New from LGI Homes: This beautiful new 2 story home features 5 bedrooms and 2.5 bathrooms. The kitchen features beautiful wood cabinets and energy efficient appliances. New refrigerator included! Additional features include raised six panel doors, brushed nickel hardware and energy efficient windows." "New from LGI Homes: This beautiful new 1 story home features 3 bedrooms and 2 bathrooms. The kitchen features beautiful wood cabinets, energy efficient appliances, granite countertops and kitchen island. New refrigerator included! Additional features include raised six panel doors, brushed nickel hardware, a large master closet and utility room. THIS HOME HAS THE COMPLETE HOME PACKAGE WITH OVER $3,000 WORTH OF UPGRADES!" "New! Move in Ready! This lovely 4 bedroom home features a large family room with lots of light. The fully equipped kitchen showcases new, energy efficient kitchen appliances (including refrigerator), Custom Kitchen Cabinets, and stunning countertops. The spacious master suite features a large walk in closet, garden tub and separate walk in shower. This home is a must see!" "New from LGI Homes: This beautiful new 2 story home features 3 bedrooms and 2.5 bathrooms. The kitchen features beautiful wood cabinets and energy efficient appliances. New refrigerator included! Additional features include granite countertops, raised six panel doors, brushed nickel hardware, a large master closet and utility room. THIS HOME HAS THE COMPLETE HOME PACKAGE! $3,000 IN UPGRADES!" "New! Move in Ready! This lovely 3 bedroom home features a large family room with lots of light. The fully equipped kitchen showcases new, energy efficient kitchen appliances (including refrigerator), Custom Kitchen Cabinets, and stunning countertops. The spacious master suite features a large walk in closet, and private bath. This home is a must see! THIS HOME HAS THE COMPLETE HOME PACKAGE, $3,000 IN UPGRADES!" "New! Move in Ready! This lovely 3 bedroom home features a large family room with lots of light. The fully equipped kitchen showcases new, energy efficient kitchen appliances (including refrigerator), Custom Kitchen Cabinets, and stunning countertops. The spacious master suite features a large walk in closet, and private bath. This home is a must see!" "New! Move in Ready! This lovely 3 bedroom home features a large family room with lots of light. The fully equipped kitchen showcases new, energy efficient kitchen appliances (including refrigerator), beautiful kitchen cabinets, and tons of storage space. The spacious master suite features a large walk in closet, and private bath. This home is a must see! THIS HOME HAS THE COMPLETE HOME PACKAGE. $3,000 WORTH OF UPGRADES!" 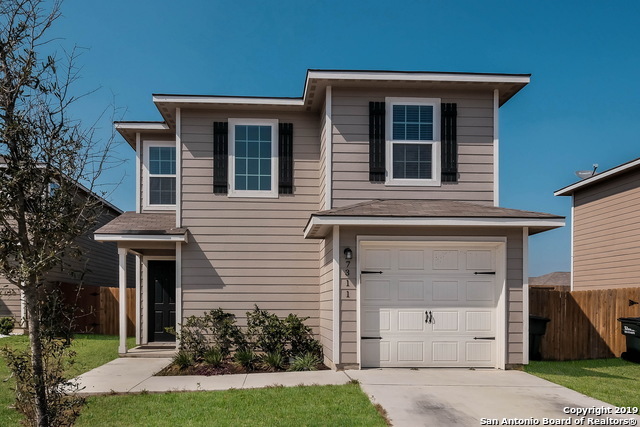 "Close to Lackland AFB*Affordable 3Bd 2.5Ba*3Year New Home*Super Clean and Ready For Its New Owner*HUGE Backyard for Outdoor Entertainment*Minutes Walk to Neighborhood Park and Playground*Convenient HWY 90 Access W/ Tons Of City Amenities Nearby*Enjoy Good Schools*Great Price and Excellent Location! !Call Us For Your Private Showing!!!" "New! Move-in Ready! This lovely 3 bedroom home features a large family room with lots of light. The fully equipped kitchen showcases new, energy-efficient kitchen appliances (including refrigerator), spacious kitchen cabinets, beautiful countertops and stunning curb-side appeal. The spacious master suite features a large walk-in closet and private bath. This home is a must see! THIS HOME HAS THE COMPLETE HOME PACKAGE. $3,000 WORTH OF UPGRADES! This home is on one of the subdivisions largest lots"